We are proud to offer completely complimentary personalisation on all of our leathergoods and some of our stationery pieces. Our boutique creative team carefully personalise each and every order in our Warwickshire studio using a traditional hot foil press (which was made right here in the UK!) This process involves typesetting the machine with our brass type, and then pressing this into the peice using heat and a layer of metallic foil. It creates a lovely, deep impression upon the leather or cardstock. We can personalise each peice with up to three characters (on some products we can use more lettering) using either a gold, silver or rose gold metallic foil finish. We can also deboss leather which uses no foil but instead leaves a deep impression for a more subtle personalisation. 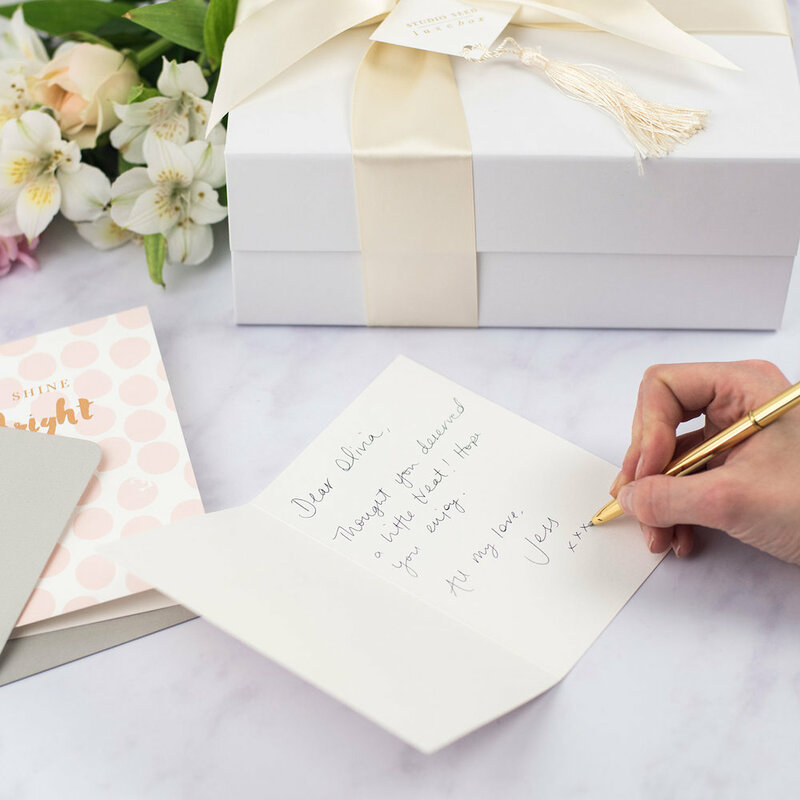 If you want us to send a personalised gift directly to the recipient, we can add in a complimentary handwritten gift card and leave out any invoice and payment information. Just let us know when you order!